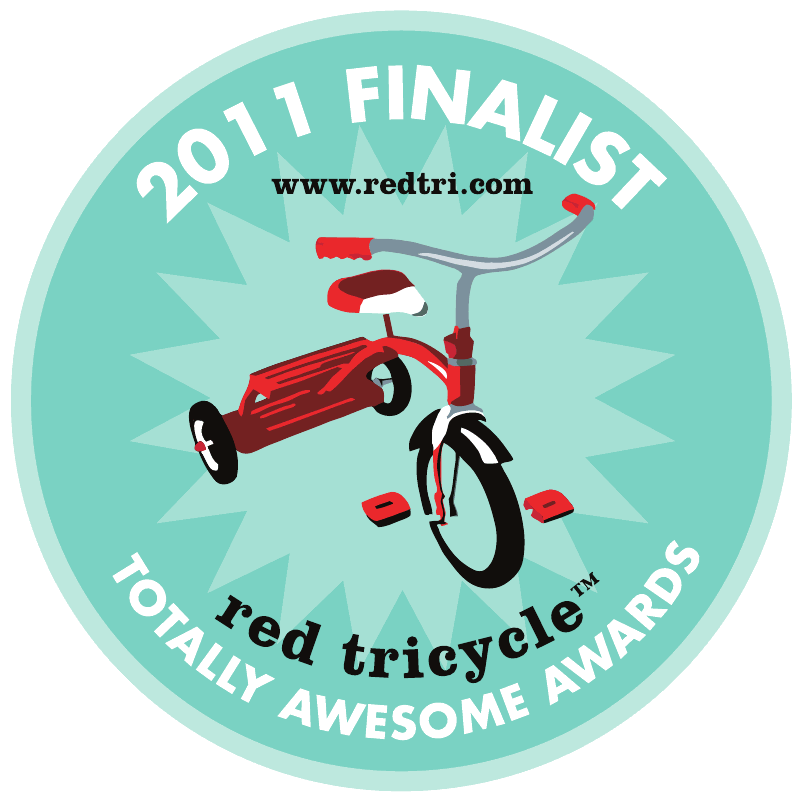 You are currently browsing the Green Halloween blog archives for October, 2010. 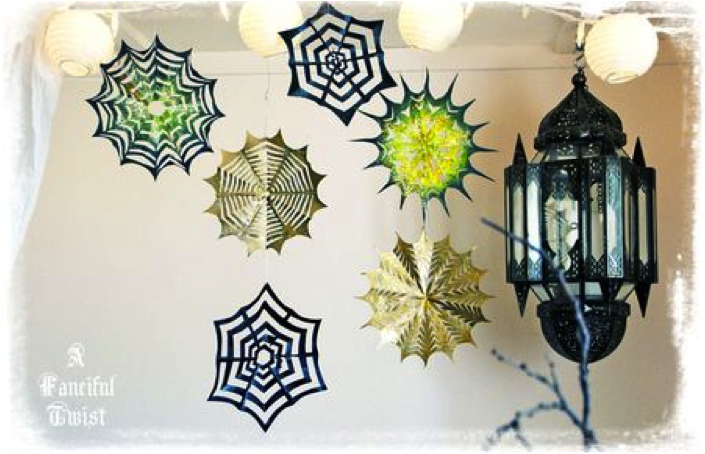 Last minute Halloween Craft: Spider Web! Guest Post byÂ Vanessa Valencia. HerÂ blog is located at www.aFancifulTwist.Com and her website is located atÂ Www.VanessaValencia.Com. I think we should do something extra delightful today, don’t you?Â I have so much fun cutting paper, and figuring out my own easier (to me) ways of doing things, that IÂ decided to share. I have been working on this post for a couple of days, and I hope you enjoy making these as much as I do…. To start, allÂ you need is regular white printer paper, and scissors. You can get fancy with spray paint and glitter a little later.Â But for now, grab a piece of printer paper, and some scissors. I like printer paper because it makes it easy to cut through theÂ layers.Â And, a coat of spray paint makes them a bit sturdy. I am going toÂ shareÂ 2 techniques. 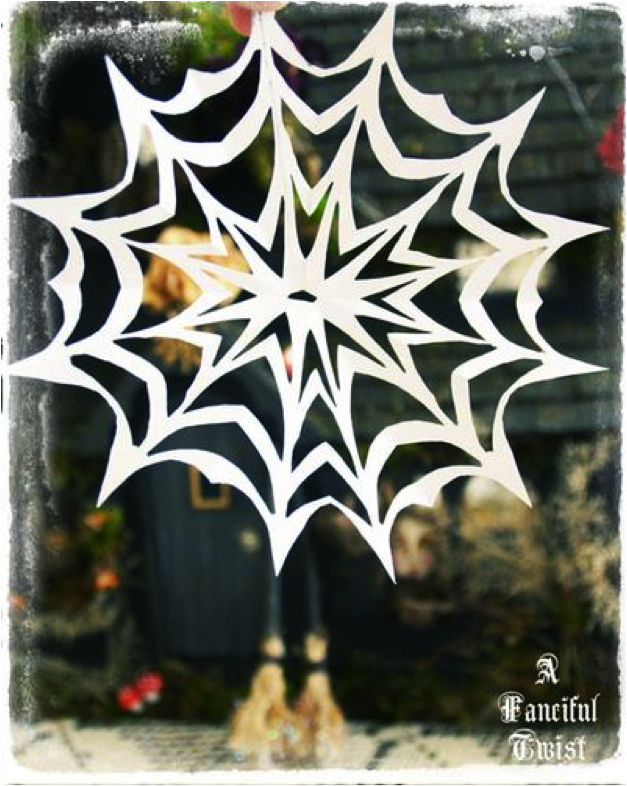 And, a trickier way to use the “snowflake-paper-flower-urchin”Â method I showed you last year (see here), by spookifying it a bit. 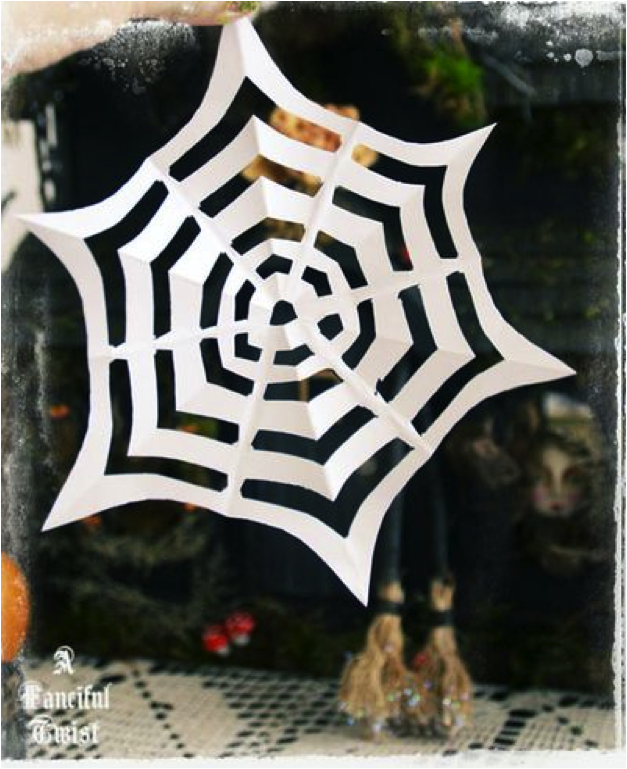 Let’s begin with a simple paper spider web. First, take a sheet of printer paper, and fold it in half, with the open side facing up. 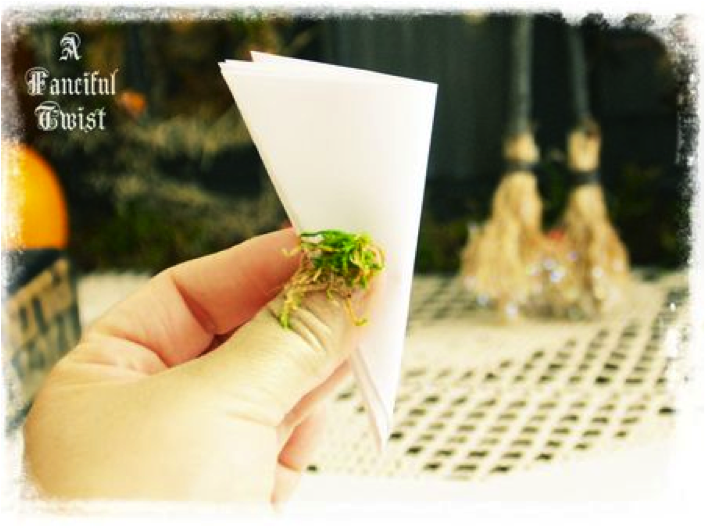 Once you have folded it in half, fold it in half again, but only crease it at the bottom. Next, fold the bottom right hand side up, so that you create a “V” point at your center mark. 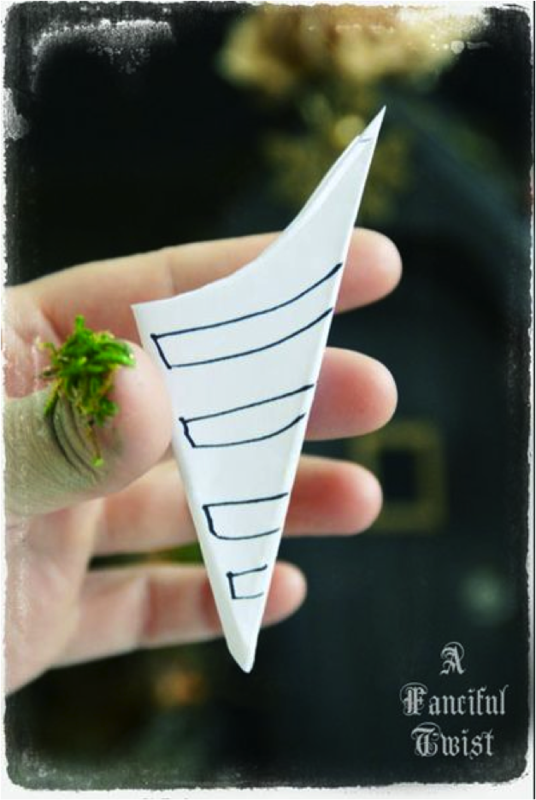 Now, take your left side of paper, and fold it towards the back, lining up the edges. Your paper should now make a “V” shape with a funny top. We want to cut off the funny top. And now, you have a true “V” shape. The next thing we willÂ do is fold ourÂ ”V” in half. Face the open side to the right, and the closed/folded side to the left. Next, we shall begin defining where we will make our cuts. Take a pen or pencil and draw a line that starts in the upper right hand corner, and swoops down to the left. 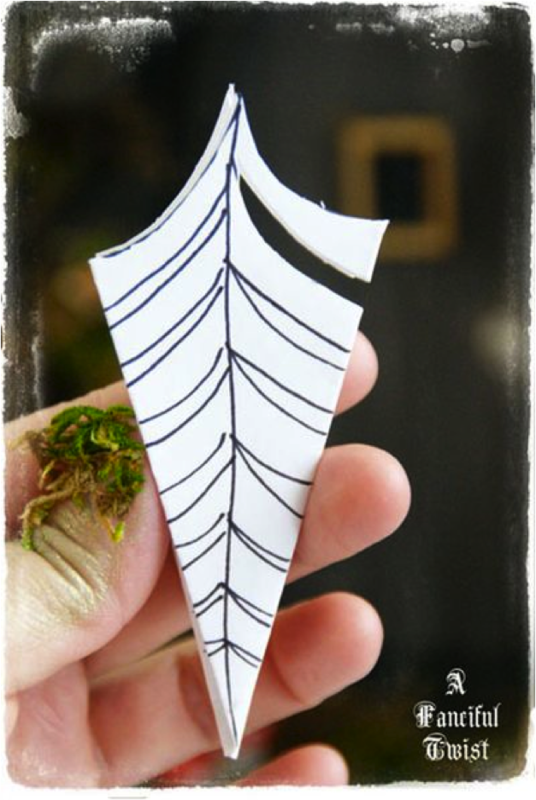 This is the cut that will create the outer spider web shape. The next thing you will do is draw 4Â long rectangles from the right side, toÂ the left.Â However, you must not cut into the left folded side, as it holds everything together.Â So, make sure your rectangle ends a little before the left hand fold. Now, you willÂ cut out your rectangles. Again, make sure you do not cut through the left hand side. 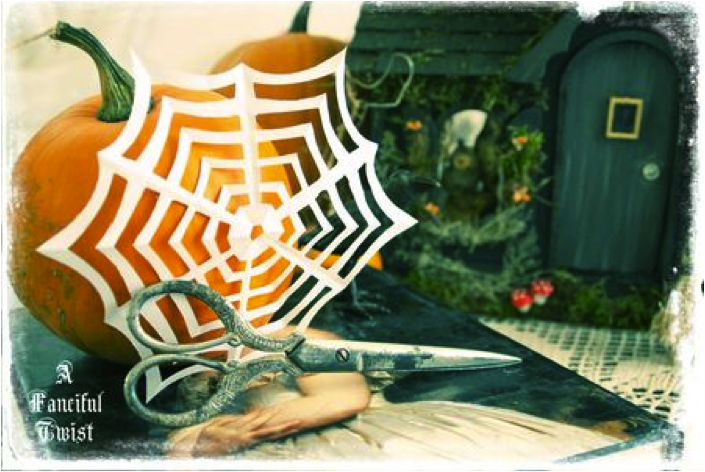 Tip:Â TheÂ thickness of your cutÂ rectangles determines how delicate your final spider web shall be.Â Remember, thicker cuts equal less paper, and therefore more delicate spider webs.Â You’ll see. So, after you have cut out all four rectangles.Â Make a tiny snip at the bottom. The final bottom snip creates the centerÂ of your spider web.Â The larger the snip,Â the larger the center opening of your finished spider web. YAY!Â A spider web.Â Woo hoo!Â Are you dancing in your chair? 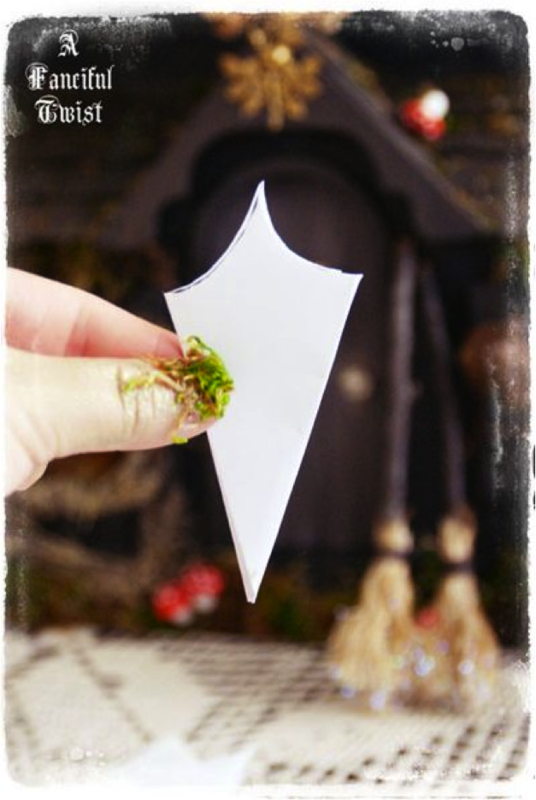 You can use any paper you’d like.Â I used printer paper for ease of cutting, but feel free to try this with any paper.Â Scrapbook paper works beautifully too.Â Especially a dark-distressed vintagey scrapbook paper. Before we try painting these, let’sÂ try the trickier cutting technique, okay? 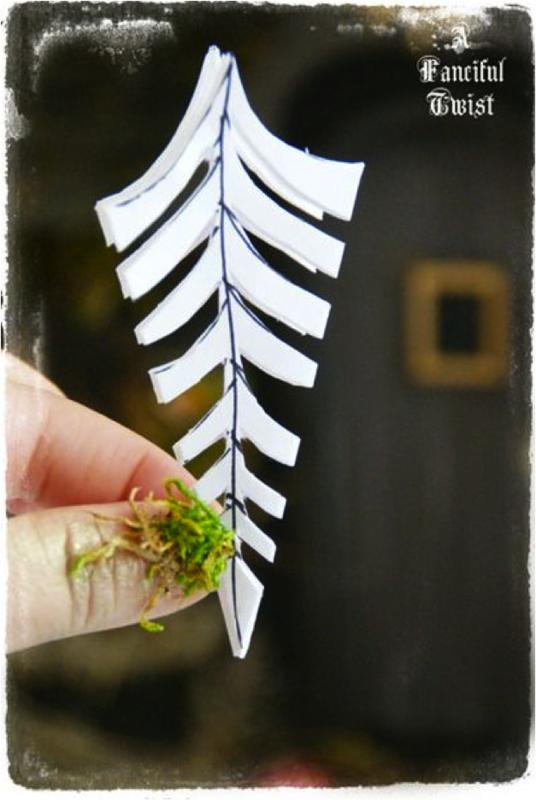 The trickier cutting technique creates all sorts of wild paper-cuts. Below weÂ will try the “spookified snowflake” technique. Again, I am using a piece of white printer paper. Now, cut off the long rectangular strip at the top, to form a true triangle. 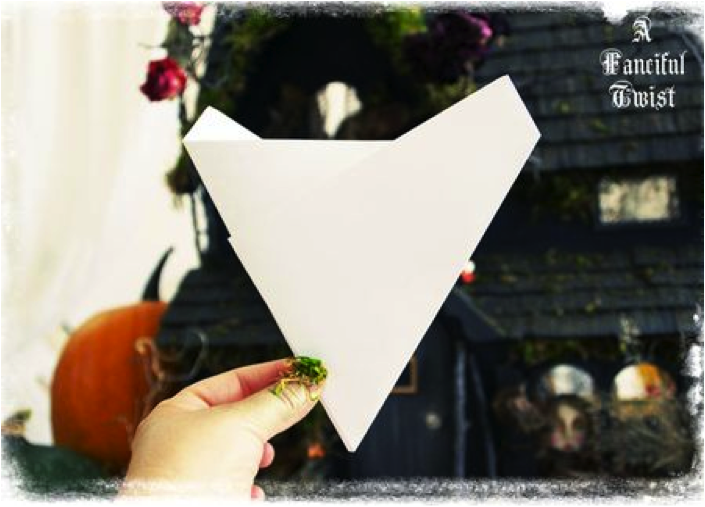 Then, take your triangle, and fold it in half again.Â To form a smaller triangle. 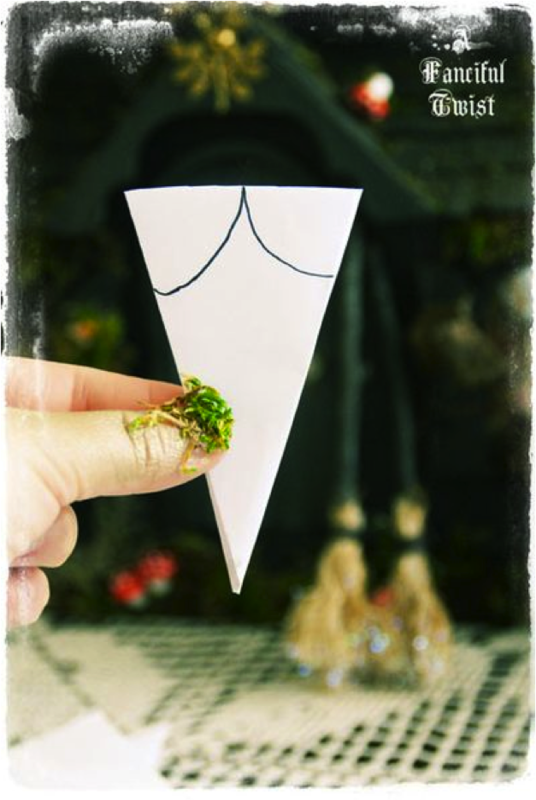 Holding your smaller triangle upside down, fold the right side into the center. ComingÂ together, to form aÂ ”V” shape. Your folded paper should look like this. 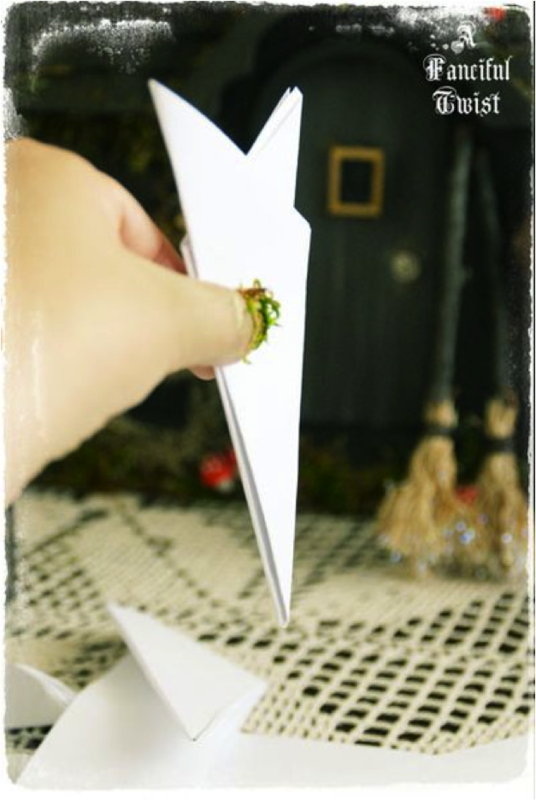 The next step is to cut off the paper tops, and create a true “V” shape. The first thing we must do is draw our cutting guide lines. Then, go ahead and make your first cut. The next thing we will do is draw a line in the center, with down swooping lines on either side. The most important thing to remember with this type of snowflake/spider web is thatÂ your center line marksÂ your cutting stop point. You must not cut through your center line. Below is an example of how I cut up to the center line, but not through it. 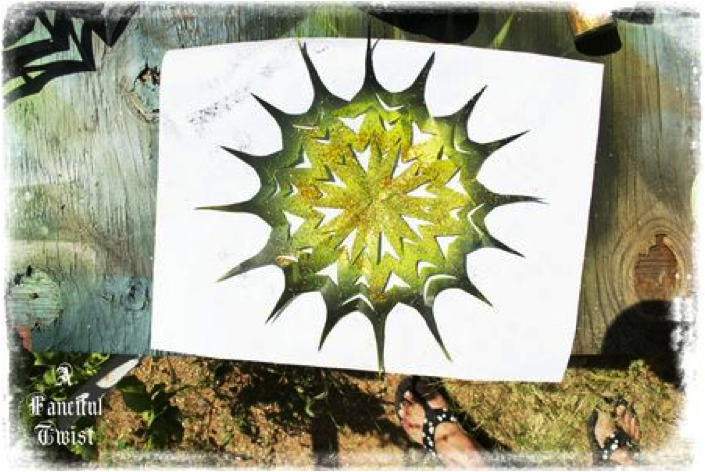 Make a snip at the bottom, to create your center opening.Â Then, open up your cutting, to see what you made. Invent your own cuts, but follow theÂ rule of not cutting through the center. Okay, I am ready to paint and glitter! I tested two kinds of spray paints.Â A matte Master craft spray paint, and an everyday multi-useÂ gold spray paint that we had in the workshop.Â They both work great. Make sure you do the spray paintingÂ outside, in a super well ventilated area. 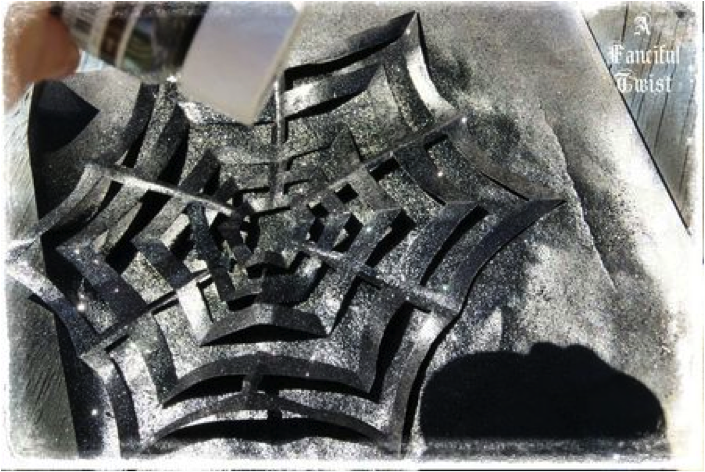 I thenÂ painted a few traditional black spider webs, and sprinkled some black fairy dust on them while the paint was still wet. 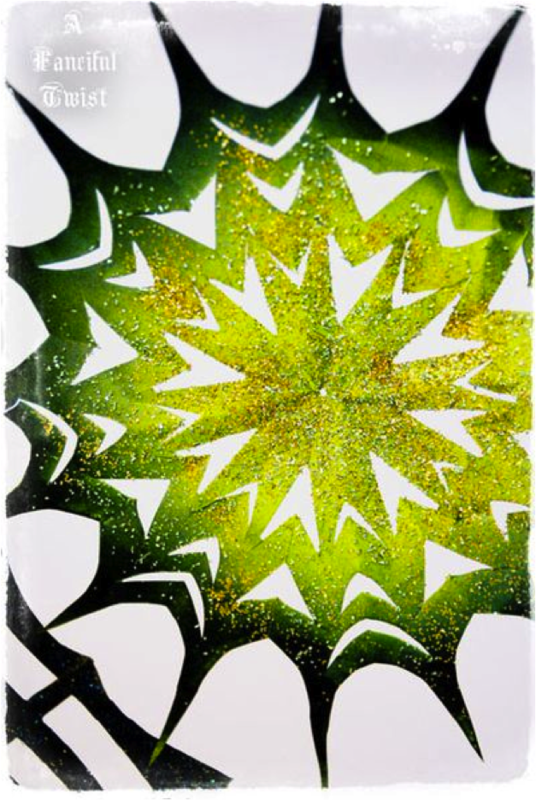 IÂ painted one of my star-snowflake-webs in black, and then sprayed some olive green in the center.Â I sprinkled gold glitter on the green, and I really liked it. Now I have a whole collection of spookylicious hanging treats. And all virtually free, and fun to make. 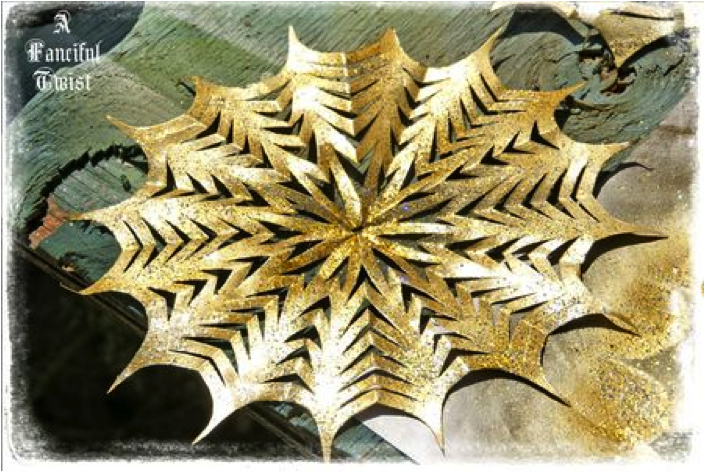 I am going to try the same spray paint technique with snowflakes during the holidays. Off I go to make more…..
Have a super magical Halloween!! Green HalloweenÂ® is a nationwide non-profit initiative started by mother-daughter team Corey Colwell-Lipson and Lynn Colwell. In 2010, Green Halloween became a program of EcoMomÂ® Alliance and has events in cities across the U.S. 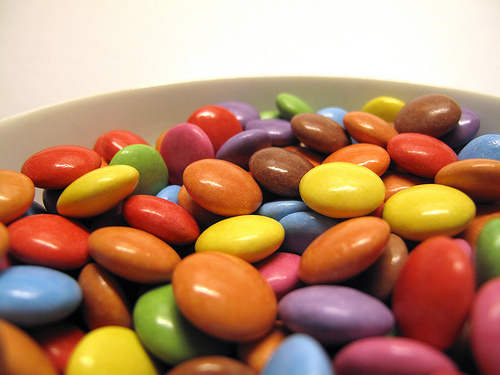 According to the National Confectionerâ€™s Society, more than 40% of adults take candy from their own candy bowl. Itâ€™s also suspected that close to 90% of adults will take candy from their childâ€™s candy stash. [i] Think about it. If there are 50 calories in a bite size piece of chocolate and you sneak a couple pieces here, one more piece there, and then a final two pieces later â€¦ that could really add up! Of course you are concerned about your kids having a healthy Halloween, but donâ€™t forget about your own needs, too. Instead of over indulging and instead of stressing out about the calories, try these five tips to avoid sneaking candy from the candy bowl. Green HalloweenÂ® was founded on the idea that Halloween can be healthy AND fun. While conventional candy around Halloween may be tough to avoid 100% of the time, you can do your part by forgoing the candy bowl at your house and instead filling a bowl with treats (and treasures) kids will love and you can feel good about noshing later such as Larabars, Cascadian Farm Granola Bars, Stretch Island Fruit Leather, Jammy Sammys and Glee Gum. Dozens of ideas can be found here. A costume that comes with gloves or long nails, for example, will make it hard to open those tricky candy wrappers. Do yourself a favor and dress up as a werewolf or a one armed-pirate for Halloween. When your kids bring home candy and you feel the urge to snack on it, choose to dip celery into a mango salsa dip or a slice of green pepper into a cilantro yogurt dip. Both of these homemade dips will last in the fridge for a few days, so thereâ€™s no reason not to whip up a couple batches of dip during Halloween time. No, this isnâ€™t just something people say. A recent study found that drinking two cups of water before a meal will make it easier to eat less and help you feel full longer. [ii] Before you set out to trick or treat, you should drink a full glass of water for the same benefit. Thereâ€™s proof that exercise suppresses your appetite[iii]. When your doorbell rings or your little ones ring your neighborâ€™s doorbell, encourage the kids to get their blood flowing with jumping jacks.Â You can do the same right alongside them. Guest blogger Sara Lancaster writes about dips, sauces, and her featured dip festival, Dipstock, (happening right now in time for Halloween) over at her blog, Saucy Dipper. When it comes to Halloween safety, the first thing that comes to mind is the safety of our children. Often we overlook another important family member, our pets! HomeAgain came up with various tips for their October newsletter on how to keep your beloved pets safe this Halloween. 1. Keep the candy for the kids. Although chocolate is a well known pet-safety hazard, artificial sweeteners and other candy ingredients are also dangerous for your pet. If you want to give your cat or dog Halloween treats, ones from the pet store are just the trick. 2. Watch for escape artists. On Halloween night, youâ€™ll probably be opening your door for trick-or-treaters every few minutes. Make sure to check that your dog or cat stays inside after each visit. 3. Make sure your pets are clearly tagged. Itâ€™s easy for an animal to escape on Halloween night, so make certain that your pet is wearing a collar with contact information on it. Brighter colors are easier to see! Donâ€™t have a collar tag?Â Buy one, now! 4. Consider your petâ€™s temperament. If your animals are frightened of strangers, loud noises, or children, keep them in an area of the house thatâ€™s away from the front door. The sights, colors, and sounds of Halloween can be stressful for even the calmest pets. 5. Keep your pets close to home, particularly the black cats. Unfortunately, Halloween brings out the dark side of some people who may use the holiday as an excuse to torment or otherwise injure an animal they find lose on the street. So keep your cats well feed with some tasty canned cat food and keep them inside. 6. Think about the children. Even if your pets are good with children, not all children are good with pets. It may be a good idea to keep your pets away from a child who could startle them into an aggressive or defensive attack. 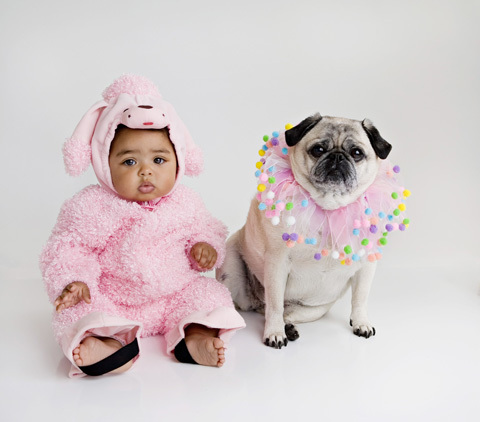 Make sure you choose a Halloween costume thatâ€™s safe for pets. Avoid strangulation hazards and parts that affect vision or movement. If your dachshund looks completely miserable dressed up as a hot dog, then let him out as soon as youâ€™ve taken a few photos. 8. Be careful with the decorations. A Jack Oâ€™Lantern with a candle or glow stick in it may be beautiful for you, but itâ€™s also fascinating for your pet. Reduce the risk of singed whiskers or poisoned bellies by keeping dangerous decorations out of your petsâ€™ reach. 9. Minimize stress while you’re away. If you plan to go out for a party or other Halloween fun, leave the radio or television on. The noise can mask loud noises your pets hear from the outside festivities. 10. Remember to keep it fun. Whatever you do, donâ€™t let worrying about pet safety ruin the evening. With a few simple precautions, thereâ€™s no reason why you and your pets canâ€™t have a boo-tiful holiday full of frightful, and pet-safe, fun. A spooky treat for all to enjoy! Boy do we have a treat for you! This smoothie is not only delicious andÂ nutritiousÂ but has a “surprise” in stored for the drinker! Red or green grapes, add after pouring into cups, these are the eyeballs! Place all ingredients except for grapes in blender and blend well. Pour mixture into cups and add grapes for the “eyeball” affect. To make the smoothie thicker, add les water or add 2 TBS flax meal before mixing. Enjoy these spooky treats for breakfast or anytime on Halloween to counteract the other, less than optimal treats! Take part in The Green Halloween Pledge! Swap costumes with someone rather than buying a new costume. This is a great idea and one of our favorite Green Halloween Tips. Purchase your costume, or its components from your local thrift shop. UseÂ LED Halloween lights to decorate instead of incandescents. Collect candy in a reusable container rather than a disposable bag. 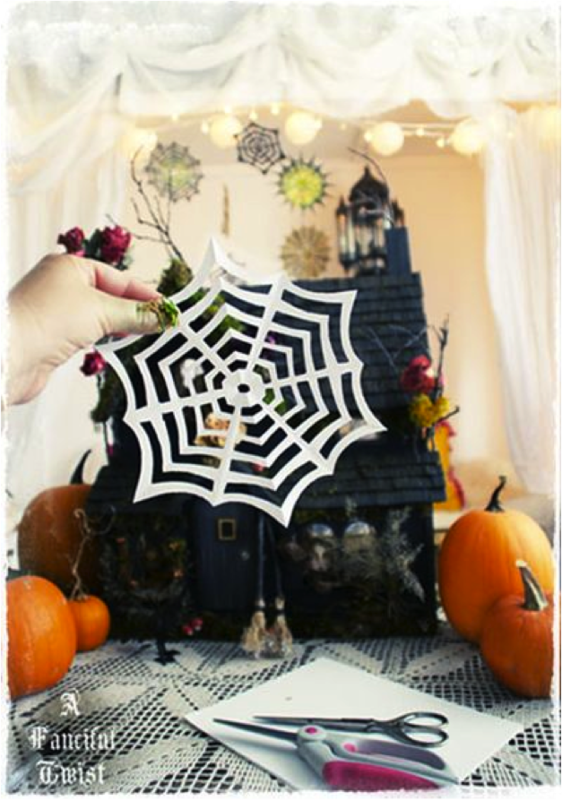 Or better yet, make a fun project for your kids by having them make their own Halloween bag out of reusable or recyclable items you have around the house. When trick-or-treating, walk, instead of driving door to door. Carry a shakable orÂ hand-crank LED flash light instead of one that is battery powered. Make your ownÂ Halloween face paints. Give away one piece of candy instead of handfuls. Buy your pumpkin from aÂ local farmer. Purchase anÂ edible variety of pumpkin and paint, instead of carving the pumpkin. Then bake and eat the pumpkin when Halloween is done. Roast & eat your pumpkin seeds instead of tossing them. Use 100%Â beeswax or soy candles in your jack-o-lantern instead of paraffin candles. Give awayÂ healthier alternatives to conventional candy. Donate your leftover candy to troops overseas. 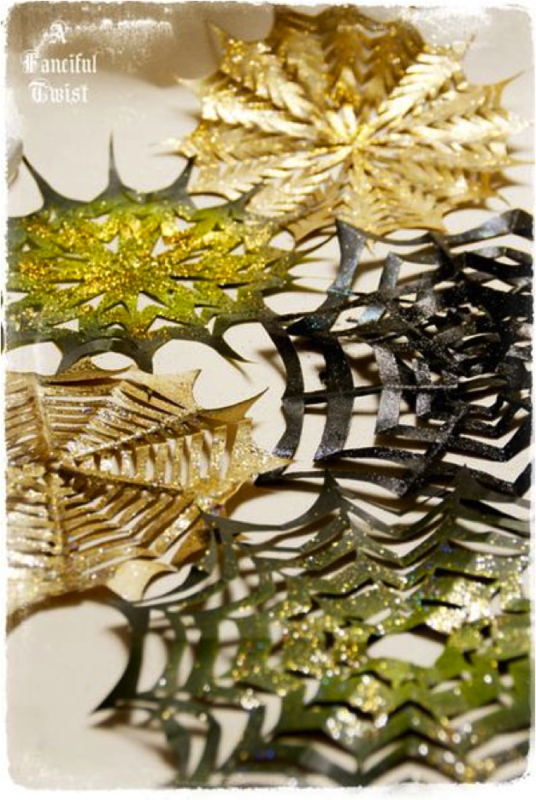 MakeÂ crafts out of candy wrappers. Pack dÃ©cor away carefully so that it can be reused next year. Text â€œBoo 5â€ to 27138 to donate $5 to support the Green HalloweenÂ® initiative. Participants of the Green Halloween Pledge will be automatically entered in a random drawing. One lucky participant will win a $150 gift certificate redeemable at HolidayLEDs. So what are you waiting for? If you haven’t taken the Green Halloween Pledge yet, do so now! Visit HolidayLEDs’ Green Halloween Pledge page for details and step-by-step instructions for entering the drawing! 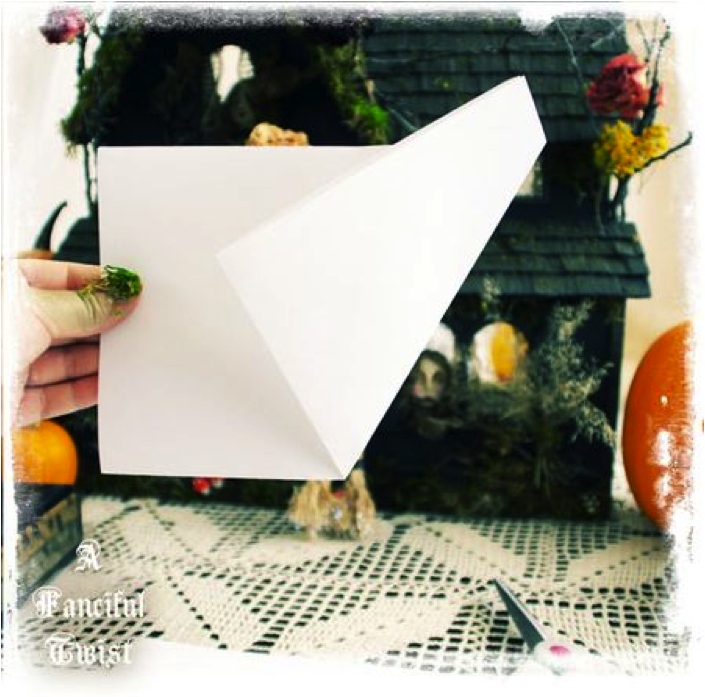 Everyone here at Green Halloween is immensely grateful for HolidayLEDs for holding this contest and we’re so glad we were able to inspire others to be more consciousÂ of environmental waste during holidays. SPECIAL NOTE: Just in time for Halloween! 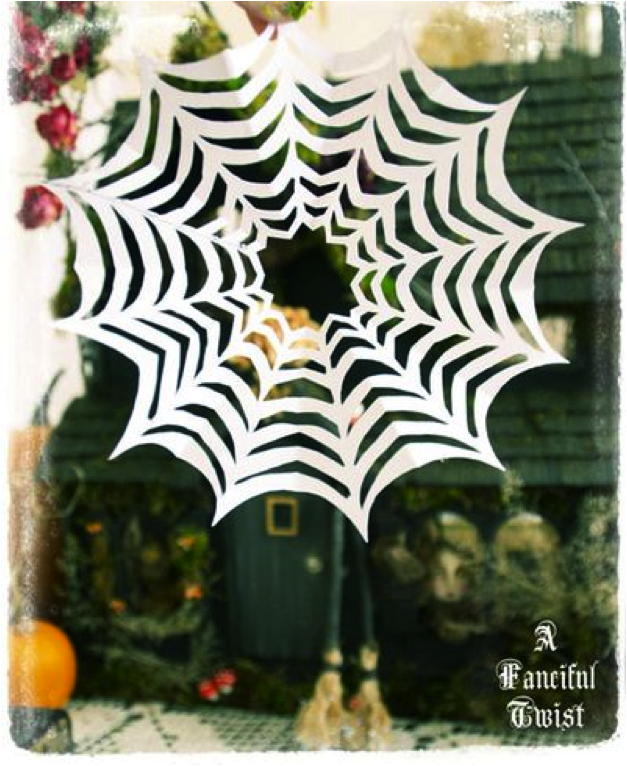 Save 15% on LED Halloween lights atÂ HolidayLEDs.com with coupon codeÂ GHWEEN15 nowÂ through October 31st.